Escape into the countryside, enjoy the fresh air and a change of rythm. 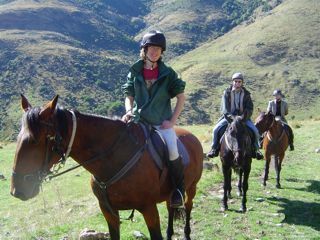 Black mountain holidays can arrange for you a guided trek through beautiful unspoilt countryside. 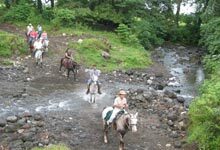 As part of your activity holiday we can include a full day trek on horse back (picnic lunch to take with you). The full day trek costs 70€ including a picnic lunch. If you are staying with us 'Self-catering' we will be happy to guide you or pre-book the trek for you. IF you are staying with us on an organised activity break, we look after all of the arrangements and transport for you. If you would like more details you can contact us through the booking page. We will be very happy to answer all your enquiries.